The average person will walk thousands of kilometers in their life. Unfortunately, many of these will be walked in unsuitable footwear, more often than not, causing long term damage. Take a moment to consider, with every step we take, our foot hits the ground with roughly three to four times our body weight. Multiply that number by an average 3,000 steps per day to get the total load in kilograms on your feet per day. For the big and tall men out there, this makes our feet more vulnerable to injury. So basically, your feet are the body’s workhorses and whats the first thing you buy a good workhorse? Sturdy comfortable shoes (we imagine, as we personally have no workhorses to speak of). Shoes that are too loose or too tight, can lead to stress on the feet, ankles, lower leg, hip, and spine. Over a period of time, ongoing pressure can lead to sever pain and injuries which may limit or prevent participation in work (not so disappointing), sports (little bit more upsetting) , and hobbies (now officially a problem). So what do you need? Comfortable durable shoes of course!! Personally, we cant go past a classic Boat Shoe. Sometimes referred to as deck shoes or topsiders, a good boatshoe is typically canvas or leather with rubber soles designed for use on a boat (hence the name). The leather construction, as well as the old school application of oil, is designed to repel water; and this combined with the highly durable stitching, equals one resilient shoe. Boat shoes are traditionally worn without socks, a positive for those big and tall men out there who have grown tired of the fruitless morning ritual hunt for appropriate sock-wear. 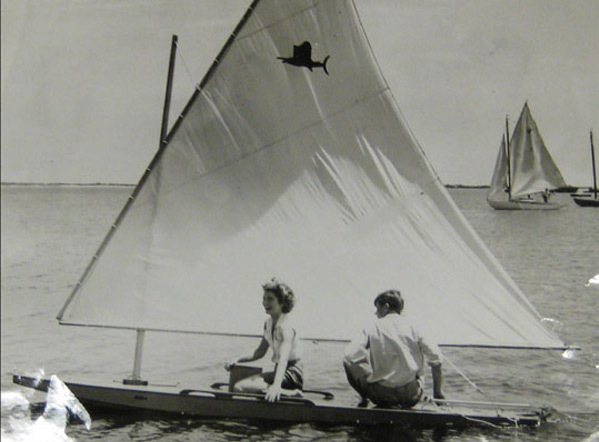 Boat Shoes made their first major appearance in the retail market 1935, when an America born yachting enthusiast and inventor Paul Sperry noticed a gap in the sailing market for a dedicated boat shoe. Fun Fact: The story goes, that Sperry noticed his dogs uncanny ability to run easily over ice without slipping and decided to incorporate a similar pattern to the base of his shoe. According to his website, Sperry used a knife to create his first shoes, in which he cut on the rubber soles with a herringbone or ‘siping’ pattern, inspiring a shoe perfect for boating, which lead eventually to his own company. The true benefit of the Boat Shoes lies in its ability to remain both stylish enough to wear to work and impressive enough to not look out of place in formal situations. They are truly the most versatile of footwear and can be worn all year round. When you have found the right pair, it is worth the investment, as you are purchasing something of durability and quality and frankly, it gives you the right to not wear socks to your next wedding, so whats not to like? Ron Bennett Big Mens Clothing stocks a prime example of the ultimate Boater. 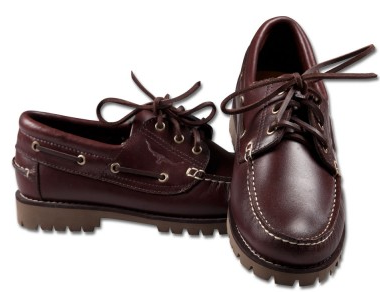 Made from genuine leather, these lace up boat shoes are the sheer definition of casual cool. Guaranteed to look great with virtually any weekend ensemble, R.M Williams have once again come through with a pair of shoes designed in the bushman spirit for the everyday Australian male. So go on, treat your workhorses to a lil’ comfort and we promise you wont look back.